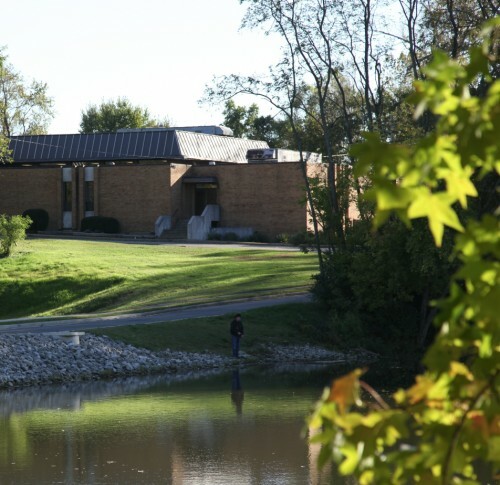 Tpheris Israel Chevra Kadisha Congregation (TICK) is an Orthodox synagogue which serves the Jewish community in the tranquil, western St Louis suburb of Chesterfield, Missouri. The campus at TICK overlooks the scenic Greentrails Lake. TICK has been a vibrant center of Torah Judaism within the greater St Louis Orthodox community for over 40 years, and has provided the Jewish community of Chesterfield a warm and nurturing place in which to grow in its levels of Torah learning, observance of mitzvos, and faith and trust in Hashem. The synagogue oversees and maintains the beautifully decorated, full service Sarah Sheinbein mikvah, a kalim mikvah, as well as the community eruv. TICK also does outreach within the Chesterfield community, and is welcoming to all Jews. In 2016, TICK brought to fruition its dream of growing even higher in spirituality through its launching of the Chesterfield Kollel. The Kollel, headed by Rabbi Avrohom Morgenstern, is comprised of six Rabbis committed to full time engagement in intense Talmudic study. The Kollel provides an array of Torah learning opportunities for the Chesterfield and greater St. Louis Jewish community. From 2007 - 2015, TICK was home to the Missouri Torah Institute (MTI), a fully accredited High School and Beis Medrash program affiliated with the Chofetz Chaim Yeshiva. With G-d's help, we were able to witness the school grow and thrive within the warm, friendly environment of our Shul and community. In the summer of 2015, the Yeshiva moved into a sprawling, eight acre campus a few miles down the road in Chesterfield. We are thrilled that the Roshei Yeshiva, Rabbis, and staff of the Yeshiva and their families continue to live in our community and are active members of our congregation. Please contact Debbie Kay in our office, Dr. Keith Mankowitz, President, or our Rav, Rabbi Moshe Winter, if you are interested in learning opportunities, joining us for weekday services, spending Shabbos with us, or if you are considering a move to St. Louis. TICK is a member of the Orthodox Union.